People come from all over the world to study in America. With world-renowned universities and research programs that are well-known, studying in the United States of America is a great option for many international students. If you’re interested in learning more about studying in America and obtaining immigration information that helps you further your education or your child’s education, then we encourage you to contact an immigration lawyer to apply for a visa. While you don’t necessarily need an immigration lawyer to apply for a visa, it’ll help in the long run to avoid obstacles. At Zohar Law PLLC, we strive to provide you with immigration information to help you obtain a visa. What Type Of Visa Do You Need If You Want To Study In America? When you study in America, you’ll want to obtain a certain type of visa — for specifics, skip down to The Overall Picture: Student Visas. It’s important that you apply for the correct visa, so you’re able to study without any hindrance. For that fact, it can be beneficial to discuss your options with an immigration lawyer in case you have any questions or special circumstances to take into consideration. After all, every situation is different, so it’s vital that you get as much information on immigration as possible. In many cases, student visas can take the form of non-immigrant visas. Non-immigrant visas are generally for people who want to visit America for tourism purposes, temporary business arrangements, medical treatments, temporary studies, and temporary work. These types of visas are for temporary purposes. When you apply for a non-immigration visa, you’ll be expected to only stay in the United States for a specific amount of time instead of trying to gain residency. These temporary visas allow you to stay in the country for a few months or a few years, but it’s not obtaining a green card or citizenship. It’s also generally just for you and not for your entire family, spouse, or children. Student visas generally need to be acquired under the F type of visa; however, there are many different types of immigration visas that can be obtained. For the most part, it depends on your education level and what you’re studying. For example, an F type of visa is one of the more popular ones because it lets you study at a private elementary school, seminary, conservatory, academic institution, university, college, or a high school. On the other hand, if you’d like to study at a vocational school or an institution, you’ll want to apply for an M type of visa. If you’re going for more of a practical training program that’s not accessible in your country of origin, then a J type of a visa is needed to get into the country. One of the more popular visas we’ve helped students get is the F-1 visa. The F-1 visa, or the Academic Student, is a visa that allows you to come to the United States and go to school as a full-time student. As an F-1 visa participant, you can enroll at a seminary, university, conservatory, academic high school, accredited college, elementary school, or an academic institution. You can also attend a training program for languages. The F-1 visa is for those who would like to visit top universities, schools, and programs in the world. You can enroll in academic programs or take advantage of getting a degree, diploma, or a certificate to further your education. It’s a great opportunity for those who have not been able to study in their desired field because their country doesn’t offer those options. 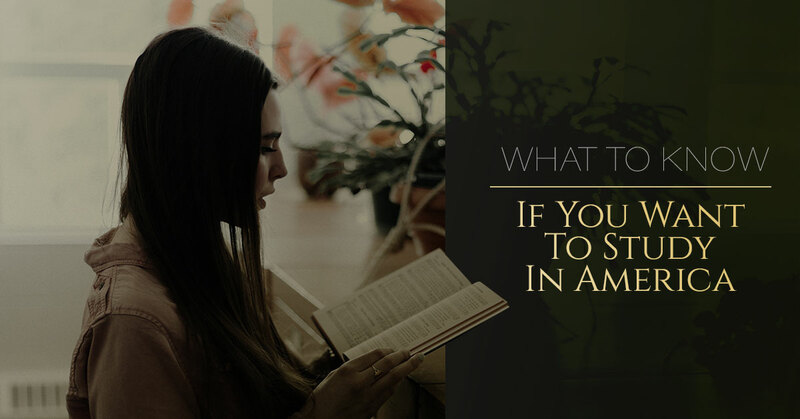 Studying in America can be a great opportunity for many. Between learning at an accredited university to providing an opportunity for your child to go to a private elementary school, you or your child will be able to gain a degree, certificate, or a diploma in the field of choice. It’s important that the school you or your child would like to enroll in has the authorization of the United States government to make the visa viable. If you or your child would like to study in the United States, then Zohar Law PLLC can provide you with immigration information.